Combine comfort and style with the Etonic Space Dye Colorblock Polo. Moisture wicking fabric ensures you stay dry and cool, even in the warmest of conditions. 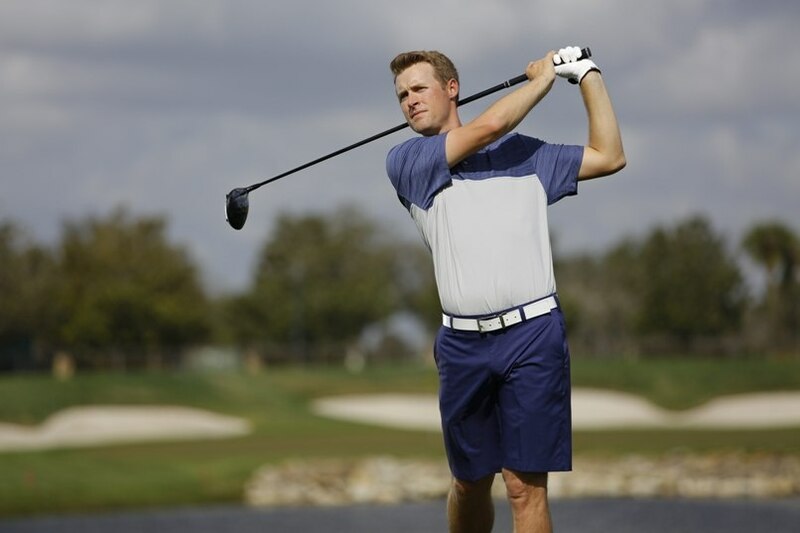 The colorblock print on the shoulders and sleeves provides you some flair while you are sinking that next putt. A rib-knit collar and a 3-button placket bring the polo altogether. Good looking, great fit, looks good on or off the golf course. Etonic products are solid. This is a nice, modern shirt in style, material, and fit. Colors are great. Probably runs a bit small for most on size, but it does have a modern look and feel so it isn�€™t surprising to run a bit small. Tremendous value if you are looking for a good shirt at a great price. This polo was a great deal due to priciing and BOGO. I bought 4 of these delivered for $58. I went ahead and got all the colors. The material feels like the nice cool type fabric. ProsNice quality fabric, great pricing. This shirt is very comfortable and fits well. It also looks good. For the money, it can't be beat.